If you are a dog owner, you have undoubtedly experienced the challenge of finding safe, yet cost effective dog fencing ideas and systems for your beloved pet. There are many dog fencing ideas, but only the Best Friend Dog Fence can inconspicuously and humanely contain your pet. 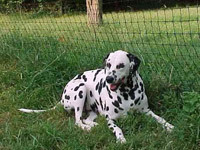 The Best Friend Dog Fence has rapidly become the preferred choice for dog lovers. Sensible and economical, the Best Friend Fence is the favored choice in dog fencing ideas. When it comes to dog fencing ideas, only the Best Friend Fence dog fence idea will give your dog the freedom to safely roam in an area that meets your individual specifications. This innovative dog fencing idea keeps your pet out of harm's way, while providing running space that all dogs crave. Unlike other dog fencing ideas such as electric fences, the Best Friend Fence will not shock your dog into submission. Made from high-strength and UV light resistant polypropylene plastic, the Best Friend Fence is visually unobtrusive and virtually invisible from 15-20 feet away. Much more humane than electric fences, the Best Friend Fence is the best choice in dog fencing ideas. Support posts, access gates, and ground stakes are included to make installation a breeze. Conventional wooden and chain-link dog fencing ideas may work with varying levels of success, but only the Best Friend Fence can guarantee an aesthetically pleasing, durable fencing system. Dog houses and outdoor leashes are other dog fencing ideas that are used to contain pets, yet these choices do not prevent other animals from entering your property and potentially harming your dog. Best Friend Fence is the only dog fencing idea that can ensure that unwanted creatures remain a safe distance from your dog. The latest in Dog Fencing Ideas! The experts at Benner's Best Friend Fence have proposed another great dog fencing idea that will keep your dog safe and happily enclosed! If you have an existing wood or chain link fence on your property that is not tall enough to enclose your dog or that may cause harm to your dog, we have the solution for you! Our dog fence idea was to attach our Best Friend dog fence and attach it behind your existing fence to create a secure, aesthetically pleasing enclosure. This dog fencing idea was brilliant because it makes our fence adaptable to virtually any fencing situation. It even works behind wrought iron fences! 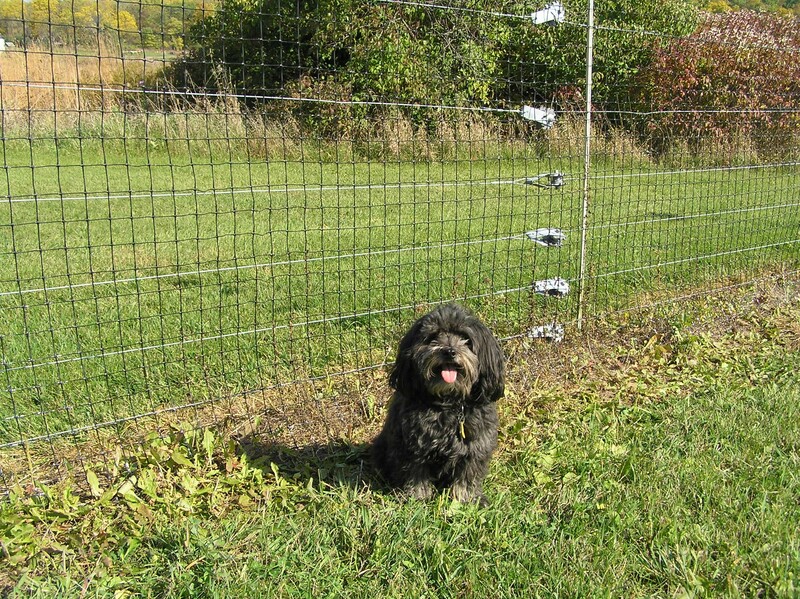 Simply attach our dog fence mesh to the existing posts and stake down the bottom six inches of the fence mesh to the ground and voila! 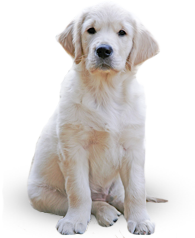 You have a safe, secure, environmentally friendly enclosure that will allow your dog to happily play while bringing you peace of mind that he is in a secure environment. Dogs have forever been known as man's best friend and we have the safe, humane dog fencing ideas for you! Your dog gets only the best with Benner's Best Friend Fence and our humane dog fencing ideas!